In a somewhat peculiar matchup at this stage in their respective careers, white hot Tony Ferguson (pictured) will get a rematch against Michael Johnson, who has dropped two straight, at UFC 197. The UFC announced the lightweight matchup Thursday via Twitter. Ferguson is one of the hottest and most dangerous fighters in the division. 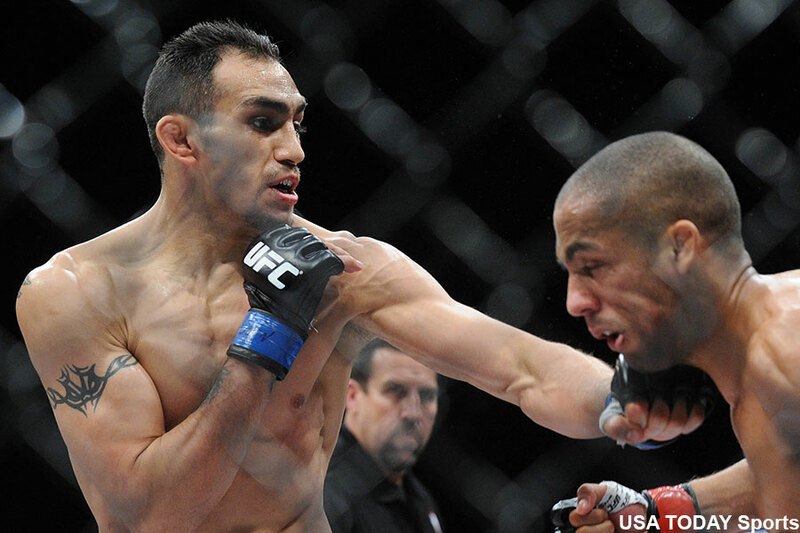 Most believed “El Cucuy” was closing in quickly on a title tilt after submitting Edson Barboza in December, but for some reason the UFC decided to see if “The Ultimate Fighter 14” winner can avenge his 2012 decision defeat to Johnson first. Johnson, meanwhile, will be looking to collect a much needed win after losing to Beneil Dariush in August and last month to Nate Diaz. Johnson had rattled off four consecutive wins prior to his current skid. UFC 197 goes down March 5 inside MGM Grand Garden Arena in Las Vegas, Nevada. A lightweight affair between champion Rafael Dos Anjos and Conor McGregor headlines the festivities. Women’s bantamweight champ Holly Holm defends her crown against Miesha Tate in the co-main event.